Highly developed interpersonal skills have never been more important. Relating well to others is increasingly a casualty of our high-tech world that brings us smaller and smaller devices and fewer and fewer opportunities to master the complex skills of human relations. 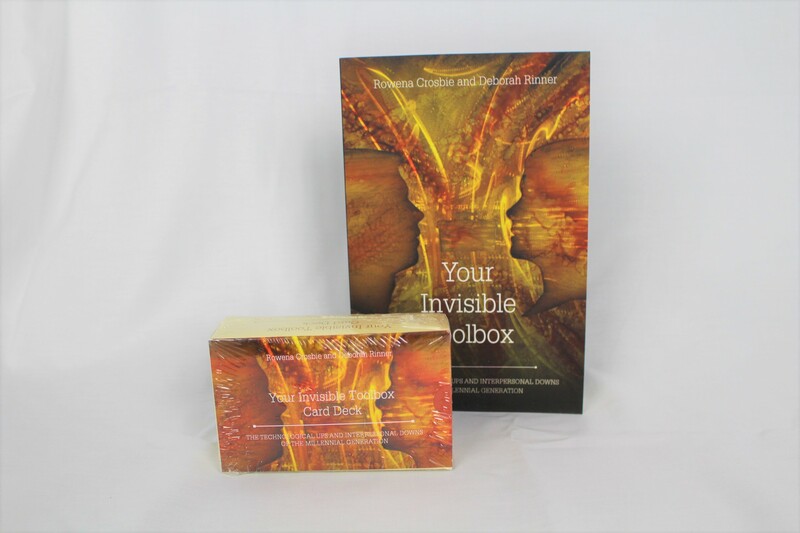 Your Invisible Toolbox®: The Technological Ups and Interpersonal Downs of the Millennial Generation by Rowena Crosbie and Deborah Rinner, explore the 100 tools that lead to interpersonal success. You can effectively relate, connect, understand, and lead... if you have the right set of tools. Each of us has two sets of tools. The first toolbox is filled with the technical skills, equipment, and devices needed to help us carry out our activities. The second toolbox is invisible. It contains the tools that we use in human interactions. According to Harvard University, Stanford Research Institute, and the Carnegie Foundation, 85% of your success comes from our interpersonal skills and how you relate to others. For the first time in American history, there are four generations coming together in the workplace. This brings a whole new set of challenges to modern business. Your Invisible Toolbox tackles the challenges many millennials face with a unique set of research-based tools, put together in an easy-to-apply road map to success. When used well, the effects of using these tools are anything but invisible. Included in this package deal is a companion piece. The Your Invisible Toolbox Card Deck is divided into five separate color-coded sections, the tools presented match the chapters of the book. Use this toolbox to challenge yourself to improve your own skills or to engage with others and learn in a community. It's simple. Pick out any card from the deck. Use the questions to open up a lively discussion with a group or to spur reflective thinking with yourself. Choose one card or investigate several in a single sitting. The only limit is your imagination.